In today’s market investing in the stock market has become more of a trader’s game than an investor’s platform. There are constant moving parts, and more and more people are buying and selling. It is important to understand that the best way to build wealth is to buy and hold. The reason is simple. When you buy and hold – you do not accrue capital gains tax. Taxes accrue when stocks are sold, and not when stocks are held. When you hold a stock your equity builds, and nothing is taxed until it is sold. Therefore moving into this post we will examine a few ways to find undervalued stocks on the New York Stock Exchange. The Price to Book Ratio helps determine whether or not the company is undervalued or overvalued as compared to the rest of the companies listed on the exchange. It shows what the company is worth if it were to be broken up and sold today. Example – If a company has a book value of $1,000,000 and has 100,000 shares outstanding it has a book value of $10. On the stock exchange it is being sold for $20 a share. Take the stock exchange value $20 divide it by the book value $10 and you have a Price to Book Ratio of 2. This means that investors believe that the company is actually worth twice as much as the book value, because they believe that the growth factors the company has produce will cause it to grow in the future. The lower the Price to Book Ratio could help determine if the company is undervalued. A negative Price to Book Ratio could mean that investors believe that the company will not grow in the future, and it could potential turn into negative profits. The Price to Sales Ratio (PSR) is another way to use statistics in evaluating the value of a stock’s price. The Price to Sales Ratio shows the value of each dollar the stock market places on the value of the company’s revenue. It takes the total market capitalization divided by the year’s sales. A low number shows that a stock’s price may be undervalued as compared to its competition, and conversely, a high number will show that it is overvalued as compared to its competitors. It is also possible to project the next year’s PSR by using projected sales for the upcoming year. This is useful when you are comparing stocks within the same industry. This would mean the company is most likely undervalued by that stock market. There could be a chance of a price increase in the future, and this may be a good buy. Conversely, if the equation were $3,500,000 in sales and the 100,000 shares outstanding at $20 per share, which would mean $1,500,000 divided by $2,000,000; the Price to Book Ratio = 1.75. This would mean the stock is most likely overvalued by the stock market, and there could be a correction in the future. A correction means that there would be a huge decrease in the price of the market. The Price Earnings Growth Ratio may be the most important statistic in understanding the intrinsic value of a stock. The intrinsic value of the stock means the actual worth of the stock. This statistic is calculated by taking the Price to Earnings Ratio (P/E Ratio) divided by the Earnings per Share Growth (EPS). A low PEG Ratio means that that stock has a solid history of growth, and a positive financial future. The Price:Earnings:Growth Ratio helps value investors find stocks that will grow over time. With this in mind, the stock market does not always reflect the PEG Ratio of a company, and the stock may go up and down in the short-term when investors take profits. A statistic like this example is very useful to evaluate stocks that your looking to hold for the long-term. Example – If a company has a Price to Earnings Ratio of 12 and an Earnings per Share of 15% take 12 divided by 15% and the Price:Earnings:Growth Ratio is .80, and this indicates that the share price is low as compared to the anticipated earnings of the company. Taking a look at the other end of the spectrum, if the company has a Price to Earnings Ratio (P/E) of 15 and an Earnings per Share (EPS) of 12 the Price:Earnings:Growth (PEG Ratio) would be 1.25, and it would indicate that share price is high as compared to its anticipated earnings. 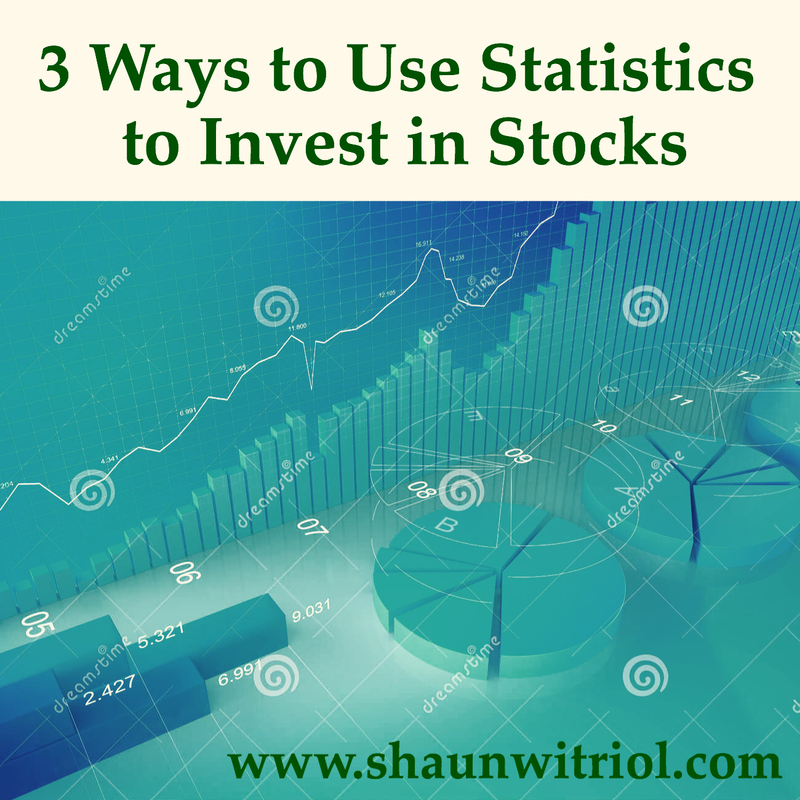 These are three statistics that have helped many investors choose which company they wish to place in their portfolio, and it also helps provide an idea of what companies are trading below market value. Market value is what the share is being sold on the stock exchange. Not one of these statistics, individually, is concrete in choosing a stock, for you must use these in combination with one another, and compare them to other companies within their sector. Learning how to use these statistics well will help you increase your net worth, and allow you to invest in companies that have a sound financial future. Remember the key to investing is to find bargains, and when you find a bargain, do your research, and act upon the information accordingly. If you have any questions regarding stock valuations, statistics, or metrics please feel free to leave some comments or e-mail me, and I will be happy to help you along the way. Thanks Nick! I will keep posting more info, so please leave comments!